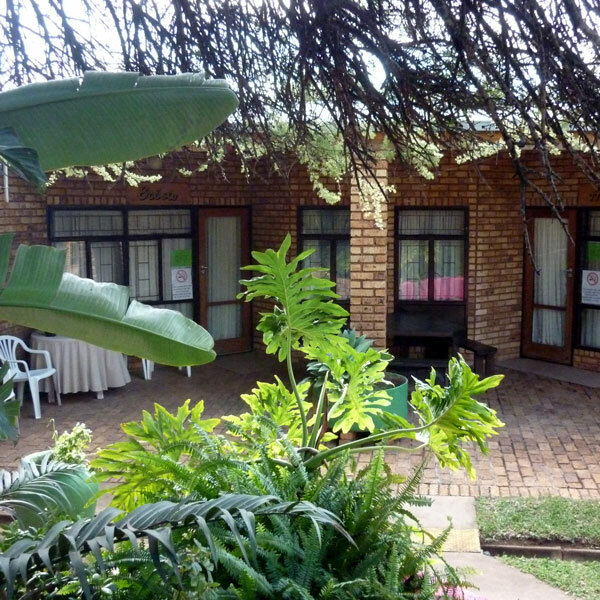 At Die Oord PV3, we pride ourselves in well-maintained and managed facilities, providing the best for our residents. Our staff is passionate about what they do, creating special bonds with the residents, but at the same time being firm when required to be. Accommodation at the Die Oord PV3 consists of 18 houses where males and females reside in separate houses under strict supervision of a housemother. 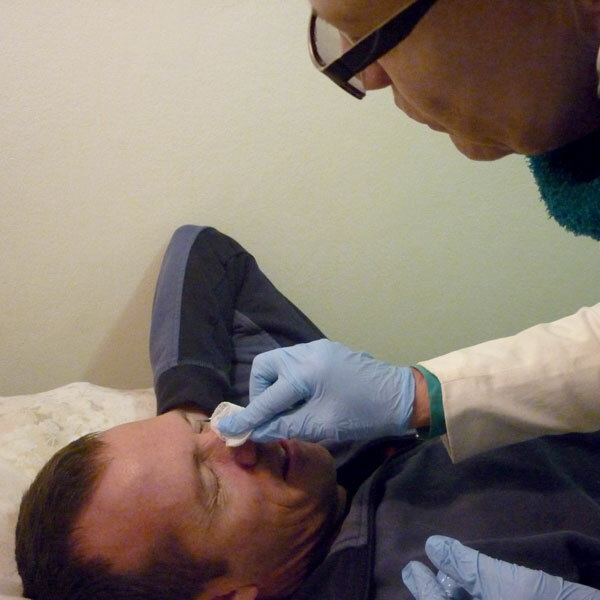 The general daily care of the residents continually receives the highest priority. Here, housemothers play a very crucial role, maintaining supervision as well as rendering assistance to the residents where necessary. 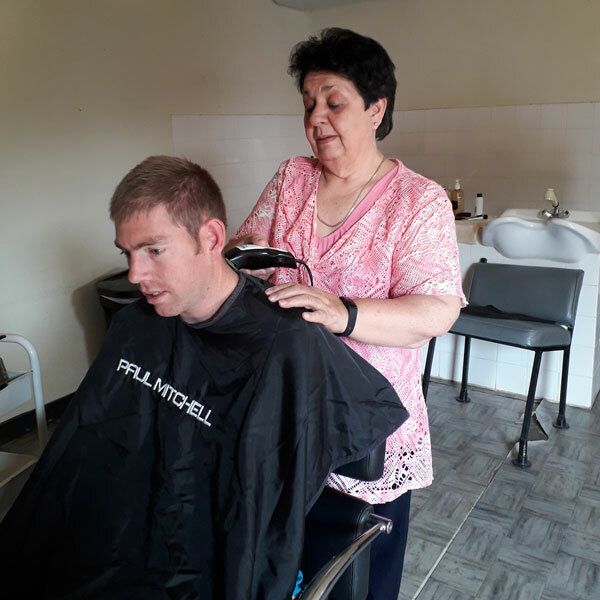 As the residents age, they require more assistance with menial tasks such as shaving, brushing teeth, washing hair and even making beds. The housemothers are also responsible for the sorting of washing for the laundry and residents enjoy lending a hand with this task. 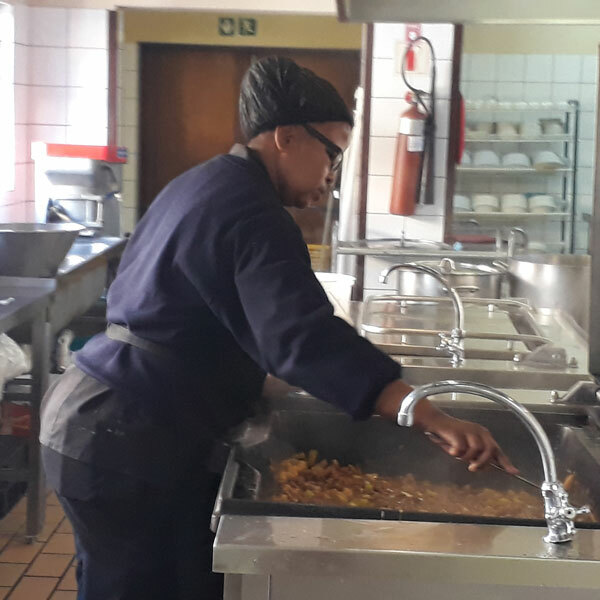 In our fully equipped kitchen, our dedicated staff is kept busy preparing three balanced meals per day, which are enjoyed in the dining hall under supervision of the housemothers. Residents receive their medication after every meal under supervision of the nursing staff and housemothers. Die Oord PV3’s dedicated and well-trained nursing staff ensure that residents receive optimal medical care. General medical problems are followed up on and treated daily. Blood pressure for patients on blood pressure medication is monitored and recorded on a regular basis and screenings are carried out from time to time in order to detect problems timeously. The residents’ body mass is weighed regularly and monthly inspections ensure that the standard is maintained at the highest level. Our well-equipped special care unit has been in operation for the past 10 years and forms an integral part of Die Oord Pv3. This facility provides 24-hour care for residents and assures for a happy and peaceful retirement. Die Oord PV3 boasts a unique observation system. Housemothers and instructors record their observations of each resident on an ongoing basis. The clinical and supervising staff then study this information to ensure that problems are detected at an early stage and resolved without any delay. 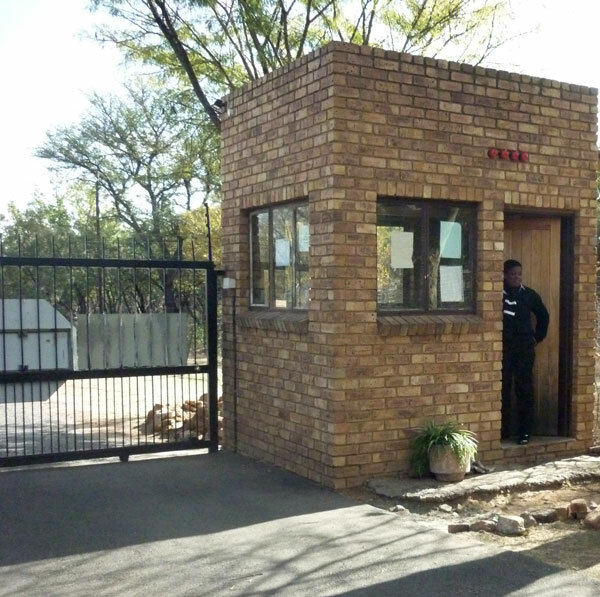 At Die Oord PV3, we take our security very seriously, with an electric fence protecting our perimeter and a security guard manning our entrance 24/7. Residents are also not allowed to leave the premises without following the correct sign-out procedure and must be accompanied by an authorized parent or guardian. The tuckshop is always a hit on a Friday when the residents can go and buy cooldrinks, sweats and/or essentials like soap, tooth paste, etc. if required. 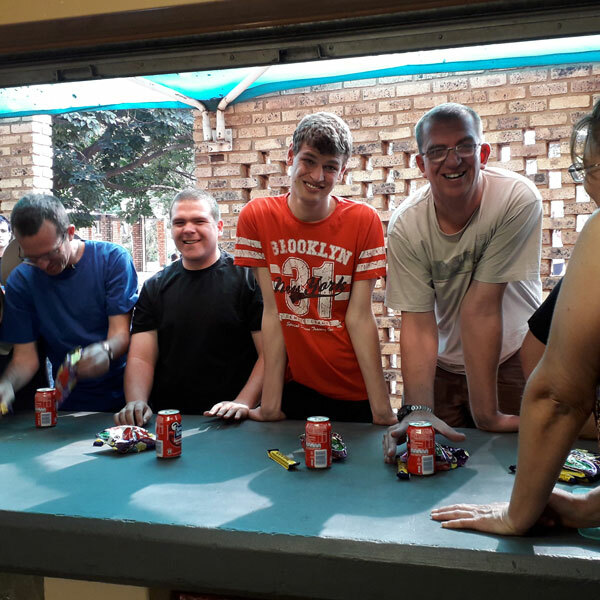 The residents get provided with pocket money for their efforts in the workshop, making the tuckshop a well-deserved reward for the week. Hygiene is important, and ensuring that hair is well groomed forms part of this. Our hairdressing service is made available for those residents who require it at a minimal fee. 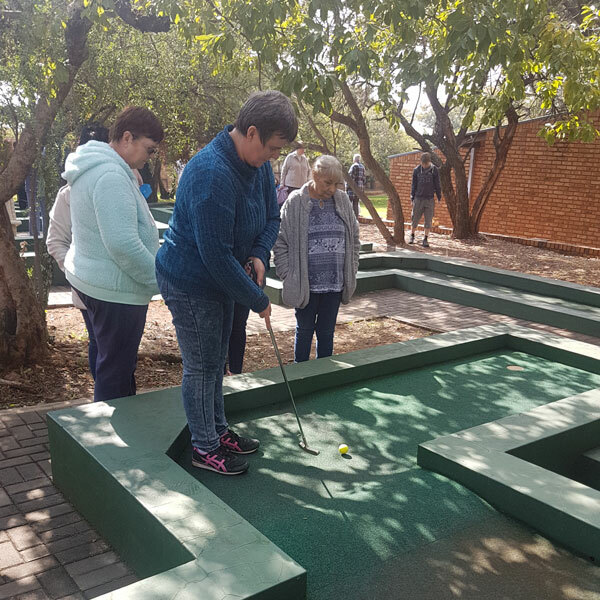 Our residents get great enjoyment out of our on-premise putt-putt facility.